Though musical selections are not always the first items checked off of a funeral planning list, finding the right music for a ceremony is an important part of making arrangements. As funerals have continued to evolve and more nontraditional practices have become acceptable, the range of choices for music that is played or performed during the ceremony also has grown. Today, people are free to choose songs that reflect their loved one’s tastes. When planning a memorial or funeral service, keep in mind that the music you choose will influence the tone of the ceremony. To ensure you create an emotional and meaningful tribute to the deceased, follow these helpful tips. If your loved one had a favorite song or hymn, include it in the service to add a personal element to the ceremony. Going beyond the standard funeral music and choosing music that is significant to the deceased is an easy way to create a more intimate experience. If the funeral or memorial service is religious but you’d like to include popular or secular music in the service, speak with your religious leader beforehand to determine if the song choices would be appropriate. 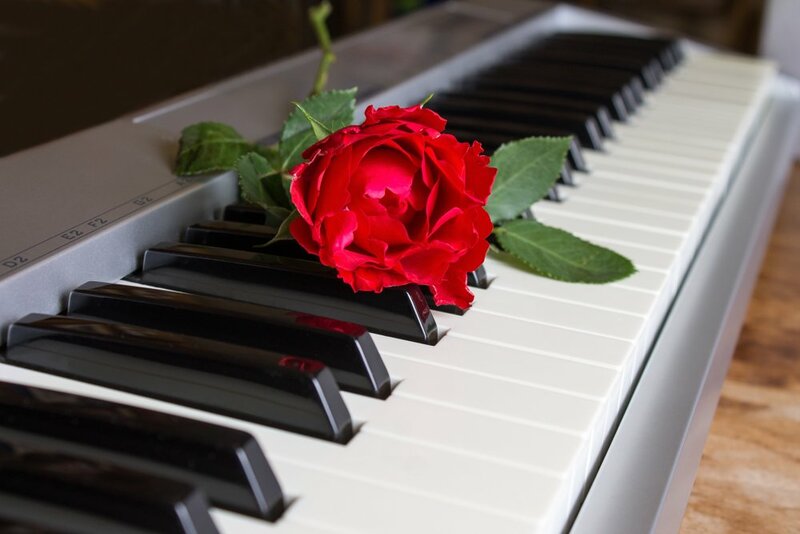 Whether it’s a full choir or a talented friend or family member performing, many people choose to include live music in the funeral service for a loved one who has passed away. If the ceremony is being held in a church or religious sanctuary, members of the congregation may perform a selection. If you’re not interested in having live performances, most venues will have the capabilities to play music either from a CD, phone or mp3 device. Prior to the service, verify with your funeral director that the proper audio equipment is available at the venue to accommodate your needs. When choosing songs with lyrics, it’s not only important to listen to the song in its entirety, but it’s also necessary to thoroughly examine the lyrics. Even when you choose popular songs that you’ve heard many times before, upon review of the lyrics you may be surprised by what the artist is saying. If you are drawn to a particular song’s melody but the lyrics do not convey a message you like, try to find an instrumental version of the song and use it instead. Many funeral homes hold their licenses through blanket agreements with the National Funeral Directors Association that give them rights to use music during services. However, the standard license may not cover songs that are included in slide shows or live performances. To be on the safe side, run your plans and playlists by your funeral director and the venue where you’re hosting your funeral beforehand. As you choose the music to use for your loved one’s ceremony, wake or after-funeral gathering, remember that as long as you are respectful of the venue and mindful of copyright concerns, you are free to choose music that you believe is fitting — both traditional and more unique. For more helpful advice on making funeral arrangements, visit our blog or call Bevis Funeral Home at (850) 385-2193 to speak with one of our knowledgeable funeral directors.